They are notable by their absence from a number of much-visited attractions – to the point of ruining the experience for certain travellers, yet some public toilets are destinations in their own right. While most people smile upon hearing them mentioned, public toilets are actually a serious topic, as they enable all human beings to fulfill that most basic human need: answering the call of nature. Some client groups – pregnant women, families with young children and people with special medical needs, for example – are more inconvenienced than others when restrooms are scarce to non-existent. With the growth of tourism in general, and the increase in family and senior travel in particular, demand for these amenities is growing. Countries with strong tourism growth have found just how crucial public toilets can be. Iceland, where international visitors have more than tripled in the last five years, reaching over 1.7 million in 2016, has realized that reviewing this basic service is an important priority. The government has invested over CAD$1M to build 15 toilets for tourists all around Iceland, primarily in areas outside the capital city. An initiative of Thailand’s Tourism and Sports Ministry, the Clean Toilet Campaign was launched to ensure tourism operators provide clean and attractive restrooms in tourist attractions nationwide. The Ministry even launched a Clean Toilet Photo Contest (! ), where people are encouraged to take selfies in the country’s clean toilets and share them on social media. The government has said the campaign is about enhancing the image of the country’s tourist attractions and, above all, of Thailand itself. Germany has come up with a sensible, affordable solution to the lack of public toilets. Rather than building and maintaining expensive public restrooms, about 230 cities are taking part in the Nette Toilette or Nice Toilet private program. It works like this: the cities pay a monthly fee ranging anywhere from €30 to €100 (CAD$33 to $110) to restaurants and cafés that display the Nette Toilet logo, complete with pictograms for additional services such as changing tables and wheelchair access. The logo lets passers-by in need know they can use the establishment’s toilet free of charge, without feeling obliged to buy anything. A map showing the location of Nette Toilette participating merchants is available in both paper format and online. A Map of … Public Toilets? 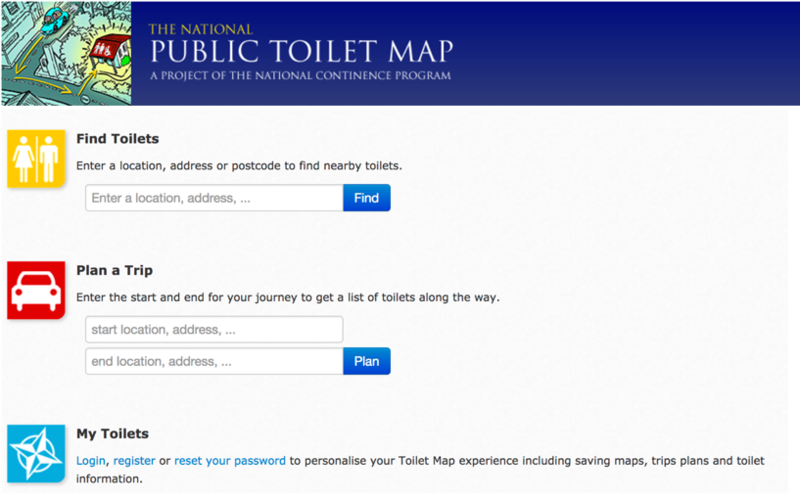 Visitors to Australia can check out the National Public Toilet Map, (available on a government website and as an app) which includes over 16,000 publicly available toilets across the country. The Map also includes the Plan a Trip feature, enabling them to enter the start and end point of their journey and get a list of toilets along the way. Specific information is provided about each toilet on the map (or route), such as opening hours, if it is male, female or unisex, is wheelchair accessible, has showers, change tables, or safe drinking water, etc. They create a buzz because of their unique design or the view users can enjoy. 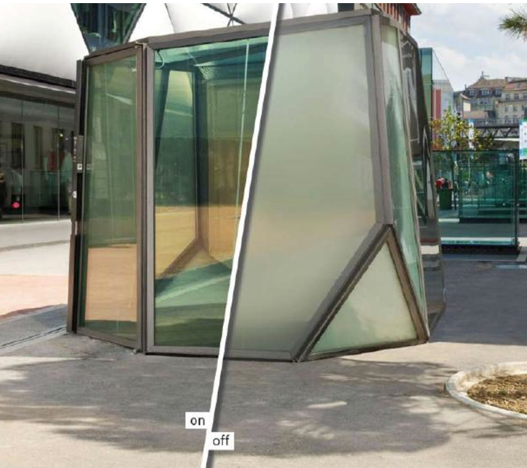 Some are even attractions in their own right, as is the case for Lausanne’s transparent toilet. Inspired by the popularity of reality TV shows, the cubicle’s glass becomes opaque when the user pushes a button to lock the door. Monica Bonvicini’s work, entitled Don’t Miss a Sec, is a toilet housed in a one-way, mirrored glass cube located on a busy London sidewalk, where the users are invisible but can see everything – and everyone! – around them. Two architect-designed restrooms (one for each gender), built with organically shaped pieces of wood, has put the tiny Colorado town of Minturn on the map. In homage to the town’s mining history, the wooden slats are designed to look like a mine entrance. The minimalist design of the toilets at Stegastein Viewpoint resembles the lookout platform itself, which provides a spectacular view of the Norwegian fjord. The same breathtaking view can be seen from inside the toilets, which jut out slightly over the cliff edge, creating a dramatic effect. Chemical toilets are usually the go-to solution for large-scale events. 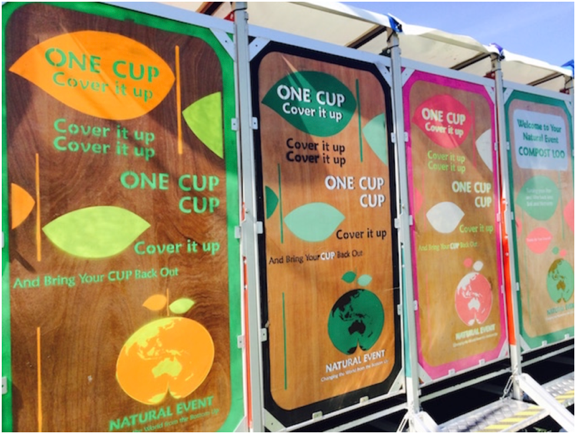 The Australian company Natural Event provides waterless, odour-free, eco-friendly toilet solutions that use wood chips for on-site composting of toilet deposits. 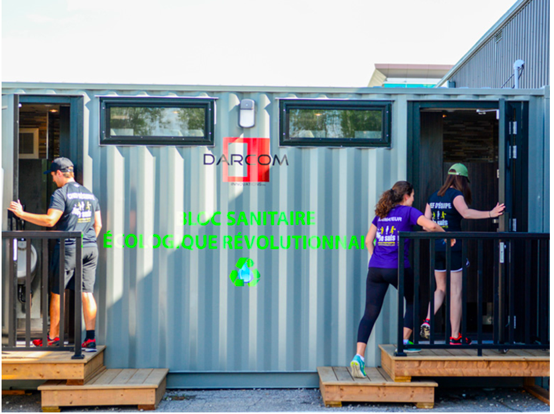 Québec-based Darcom Innovations also offers mobile “comfort stations” with a small ecological footprint. The toilets are built inside repurposed shipping containers and use coconut bark to recycle the wastewater. A simple visit to the humble toilet can provide a positive experience that can improve a traveller’s stay. Some toilets are even listed on TripAdvisor. Others, such as the astonishingly luxurious toilet in a Philippine gas station, have gone around the world on YouTube after a video was posted there by a delighted traveller. Lonely Planet has jumped on the bandwagon, publishing Toilets: A Spotter’s Guide that focuses exclusively on “lavish lavatories and outstanding outhouses”. As tourism organizations leverage their products and attractions, they must be careful not to neglect basic services. Alter, Lloyd. « Composting toilets are replacing the plastic portapotties », Treehugger, 21 juin 2016. Barber, Megan. « Ski Town Outhouse Just Wn Best Restroom in America », Curbed Ski, 12 novembre 2015. Finavia. « Mother Nature’s music: An unexpected use for bird sounds at Helsinki Airport », NewsRoom, 18 octobre 2016. Iceland Monitor. « Fifteen toilets for tourists put up all around Iceland », mbl.is, 14 juin 2017. Iceland Tourist Board. « Numbers of foreign visitors », consulté le 17 juillet 2017. Labbé, Francis. « De l’eau usée, filtrée par de l’écorce de noix de coco », Radio-Canada, 12 juillet 2017. Relaxnews. « Un nouveau guide de voyages dédié aux petits coins de la planète », Journal Métro, 19 avril 2016. Oh, Eric. « See 2015’s Best Public Toilets From Around the World », ArchDaily, 1er décembre 2015. O’Sullivan, Feargus. « Germany Found a Cheap Way to Fix Its Lack of Public Restrooms », CityLab, 1er novembre 2016. Quednau, Rachel. 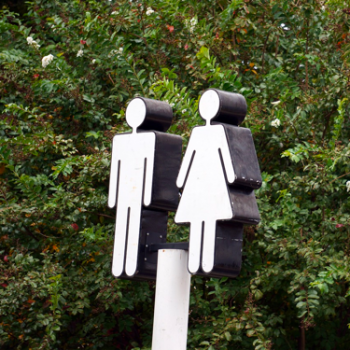 « Let’s Get Serious About Public Bathrooms », Strong Towns, 7 juillet 2016. White, Bronwyn. « Toilet Tourism: Make a Marketing Splash », MyTravelResearch.com, consulté le 17 juillet 2017.